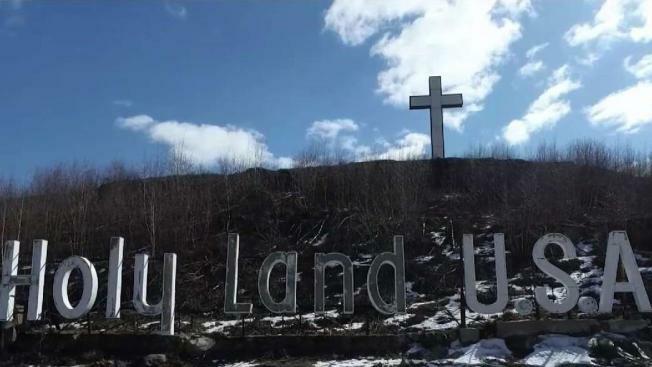 Holy Land USA Could Soon Rise From Ruin in Waterbury, Conn.
"Hidden in plain sight" for years, there are new hopes - and prayers - that Holy Land USA in Waterbury will soon rise from ruin. An illuminated cross - 56 feet tall - high above the Interstate 84 in Waterbury can be seen from miles away. To some, it is a symbol of faith as well as a sign of what may be to come. High atop Pine Hill, is what's left of Holy Land USA, an 18-acre religious theme park that was opened in 1955 by local lawyer John Greco. Inspired by selected passages from the bible, the property consisted of a chapel, stations of the cross and replicas of catacombs and small middle eastern-style villages dotting the hillside. "It's a place of reflection to at least try to understand the dynamics and the gravity of what it was over there," said Chuck Pagano, who was among the thousands of people who visited these grounds each year during its prime in the 1950s and 1960s. "It was a special place for me," said Pagano, who is now the chairman of the Holy Land Board of Directors. "Lot of visitors came up and it was definitely in a different sort of a build at that point. It was really bustling." Pagano said that not enough people know the history that is right beneath the recognizable glowing cross. "I think the cross probably lights the wick of curiosity of some people," Pagano said. The park closed to the public in 1984 for renovations and never fully reopened. Over the years, behind locked gates and "no trespassing" signs, there was decay and disrepair as well as vandalism and even violence. Since those darker times, there have been brighter days for Holy Land. A non-profit organization purchased the grounds in 2013. This month, the public has been welcomed back to the property - only during daylight hours - to walk around and view what remains. The driveways were repaved last year and a new website was launched in early March. An outdoor mountaintop mass is planned for April 28. "Hidden in plain sight" for years, there are new hopes - and prayers - that Holy Land will soon rise from ruin. "I'd like to be approaching what it was when I was younger as a reflection point we'll see if we get there," said Pagano. If you know of other spots in our state that seem to be “hidden in plain sight,” NBC Connecticut wants to hear from you. Submit your idea here, or email Dan.Corcoran@nbcuni.com and include "Hidden in Plain Sight" in the subject line. 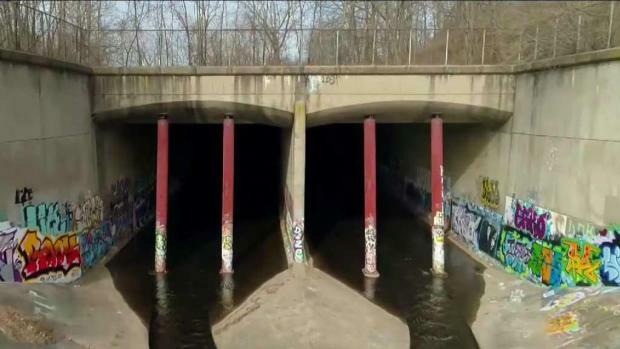 All around Connecticut there are spaces and places that people may not even know exist.